Way back, we had given you a list of processes in O2C or AR which can be outsourced. The next best function which can be moved to the back office or to an outsourcing provider is the “Order to Cash” function, commonly known as O2C. 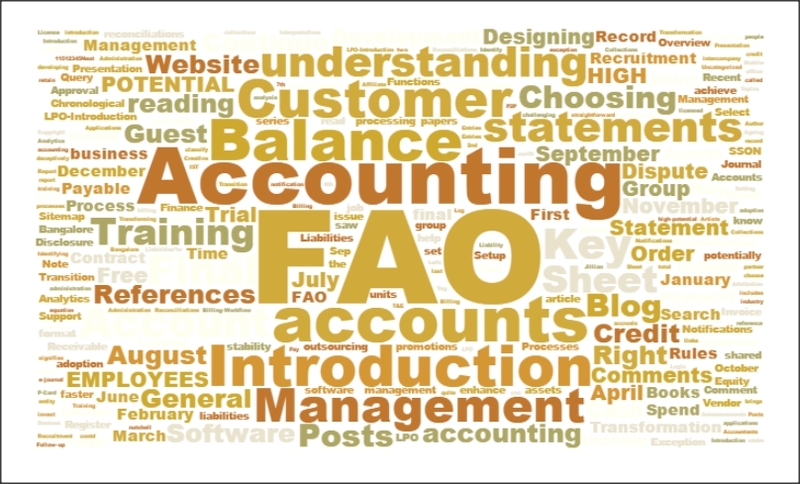 This function is also referred to as the “Accounts Receivable” or “AR” function. Based on basic accounting principles, This relates to customers buying stuff from an organization and paying up for the same. Simple accounting for this, debit the customer and credit sales. As the organization grows larger and larger, the function starts specializing into components. As a customer would place his order, it would be booked, a bill or an invoice would be raised for it, the payment would come in, it will be applied to the outstanding against the customer. The goods will be dispatched, received and accepted by the customer. Sometimes there will be rejections / failures, and warranties will chip in. Before commencing, let us recap on the list of processes. The list above is in the sequence which normally organizations adapt to over a period of time. The voice based processes sometimes take precedence.